On 28 November 2018, Himachal Pradesh became the first state to launch a pan-India single emergency number, ‘112’, where all kinds of immediate help can be sought. This number will connect to police, fire, health and other helplines through an Emergency Response Centre (ERC), set up in Shimla, along with 12 district command centres across the state. The service, launched by Home Minister Rajnath Singh, is a part of the Emergency Response Support System (ERSS project). 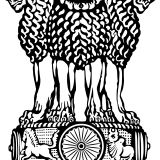 The central government has allocated ₹ 321.69 crore under the Nirbhaya Fund for the same. 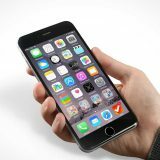 It eliminates the need for citizens to remember multiple helpline numbers. 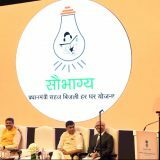 Saubhagya – ‘Pradhan Mantri Sahaj Bijli Har Ghar Yojana’ was launched in September 2017 with the objective of providing electricity to all households in the country. In order to create a healthy competition, an award scheme was introduced. According to it, the first DISCOM/power department to complete 100% household electrification, will be felicitated with a cash award of ₹50 lakh for the employees and ₹100 crore will be allocated for the distribution of infrastructure. 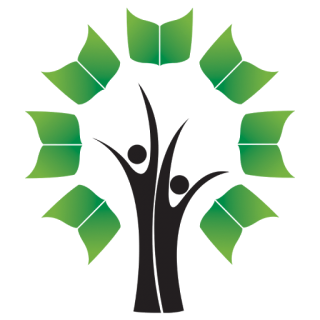 The Ministry of Human Resource Development (MHRD) launched a unique program, Bhasha Sangam, under the ‘Ek Bharat Shreshtha Bharat’ project, for the students of government schools. This program, conducted between November 20 and December 21, 2018 introduced students to 22 Indian languages to provide multilingual exposure to them. It was also aimed at developing their interest in different languages and enhancing linguistic tolerance. 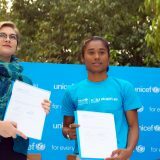 The United Nations International Children’s Emergency Fund (UNICEF) appointed Asian Games gold medallist, Hima Das, as the country’s first ever youth ambassador on 14 November 2018 with the objective of inspiring and gathering the support of India’s 253 million adolescents towards the cause of children and the young generation. 18-year-old Hima, hailing from Dhing village, Assam, is an international award-winning sprint runner. She won a silver medal in the 400 metres sprint and a gold in the 4X400 metres relay at the Asian Games in Jakarta. UNICEF works towards the betterment of children across 190 countries and territories. The magnificent Mary Kom scripted history on 24 November 2018 after defeating Ukraine’s Hanna Okhota by a unanimous 5-0 in the 48 kg light flyweight final at the Women’s World Championships. The 35-year-old from Manipur, India, became the first woman boxer to win six world championship gold medals. 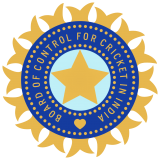 On 27 November 2018, the Board of Control for Cricket in India (BCCI) announced a two-year ban from all recognised tournaments on cricketers found guilty of age fraud. Earlier in September 2018, the BCCI had banned a Meghalaya-bound Delhi player, Jaskirat Singh Sachdeva, for producing fake birth certificate to play in an Under-19 tournament. Former Indian captain, Rahul Dravid, popularly known as the Wall of Indian cricket, had also pointed out age-fudging as a threat to Indian cricket. Some experts further went on to claim that age-fudging is as bad as match-fixing. 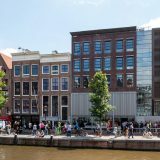 The house museum of the German-born teenage diarist, Annelies Marie Frank, better known as Anne Frank, has been renovated to tell the Holocaust tales to the new generation. The museum was built around a secret annex in a canal-side house where Anne hid from Nazis during World War II. The museum, which was opened to public on 22 November 2018, will fill the visitors with information on the history of the Frank family, their flight to the Netherlands after Hitler’s rise to power in Germany and their decision to go into hiding on 6 July 1942. According to a report presented by the World Meteorological Organization on 22 November 2018, the levels of heat-retaining greenhouse gases linked to climate change, reached a record high not seen in millions of years. The Greenhouse Gas Bulletin, published by the WMO, cites that the globally averaged concentrations of carbon dioxide have reached 405.5 parts per million in 2017 as compared to 403.3 ppm in 2016 and 400.1 ppm in 2015, thereby leading to long-term climate change, sea level rise, ocean acidification and extreme weather. The weather played havoc in Australia’s biggest city, Sydney, on 28 November 2018. As per Australia’s Bureau of Meteorology, it was the region’s wettest day in November since 1984. According to reports, the Sydney Observatory recorded 105.6 mm of rain in merely two hours. However, as per the data published by WMO, the city’s monthly average for November was around 104 mm. Earlier in the month, a giant dust storm covered communities across southeast Australia, turning skies orange and raising concerns about the air quality. 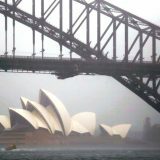 The storm, which engulfed even the Opera House, left people suffering from breathing difficulties. 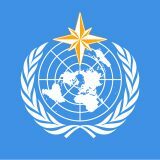 The United Nations Environment has awarded the Asia Environment Enforcement Award, 2018 to India’s Wildlife Crime Control Bureau (WCCB) for their excellent work in combating transboundary environmental crime. India’s WCCB was conferred the award in the innovation category as it adopted innovative enforcement techniques that have drastically increased enforcement of transboundary environmental crimes in India. 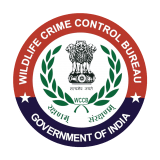 It has developed an online wildlife crime database management system to analyse trends in crime and devise effective measures to prevent them. The WCCB has also developed a scheme to enrol willing persons as volunteers. In order to vent anger against rising fuel taxes and Emmanuel Macron’s presidency, protestors gathered in the capital city of France in November 2018. 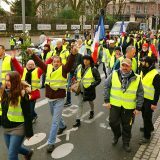 The myriad of protestors was seen donning self-styled yellow neon jackets, which are otherwise used as security vests by French drivers. According to reports in BBC, the cost of diesel spiked by around 23 per cent to an average of €1.51 — the equivalent of $1.71 a litre, in the past one year. In 2018, Macron’s government raised its hydrocarbon tax on diesel by 7.6 cents per litre, while the tax on petrol was raised to 3.9 cents. However, the government justified its move by saying that the fuel tax rises are a necessary pain to reduce France’s dependence on fossil fuels and fund renewable energy investments. The city of Paris stood victim to violent confrontations between demonstrators and police, including the use of tear gas and water cannons. According to newspaper reports, when President Emmanuel Macron returned from the G-20 summit and toured the damage the city had faced, he instructed Prime Minister Édouard Philippe to hold emergency talks. Several people were killed, many were arrested, cars were burned, stores were looted and many other events of destruction took place in the riots. The Maldives Parliament passed a motion with three-fourth majority to repeal the age limit of the presidential candidates. 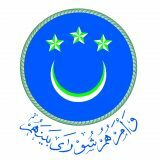 The motion, which proposed to ban those above 65 years of age from contesting the presidential elections, saw 72 members voting in its favour in the 85-member Majlis. It stated that only those aged 35 and above will be allowed to contest for Presidency. The People’s Majlis, the legislative body of the Maldives, is opened on the last Thursday of February each year by the president of Maldives. During the opening ceremony, the president outlines the policies and achievements in his presidential term. 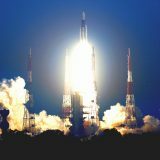 The Indian Space Research Organisation (ISRO) successfully launched GSAT-29 on 14 November 2018 at 5:08 p.m. IST. This high throughput communication satellite was launched from the Second Launch Pad (SLP) at Satish Dhawan Space Centre, Sriharikota, Andhra Pradesh. GSAT-29 satellite, with a lift-off mass of 3423 kg, carries Ka/Ku-band high throughput communication transponders and is aimed at providing communication services to the digital users of Jammu & Kashmir and northeastern regions of India. 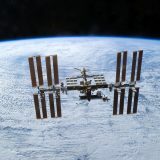 The International Space Station (ISS) completed 20 years in space on 20 November 2018. In 1998, aerospace engineers from Russia and the United States celebrated the lift-off of the Russia-built, US-funded unit, Zarya, (sunrise) from Kazakhstan’s Baikonur Cosmodrome. This project brought together former Cold War rivals- the United States and Russia (part of Soviet Union that disintegrated in 1991). It is the largest manned object in space, 357 ft long, and weighs 419,725 kg including the weight of spacecrafts. The space station travels at a speed of 4.791 miles per second. It is a one-of-a-kind research facility orbiting the Earth. 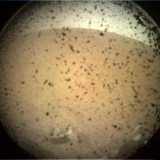 NASA’s robotic Interior Exploration using Seismic Investigations, Geodesy and Heat Transport (InSight) lander successfully touched down at the Elysium Planitia region of Mars on 26 November 2018 at around 2:54 p.m. (EST). The lander that travelled almost 480 million kilometres over a span of around seven months, carries a two-year mission of exploring and investigating processes that shaped the rocky planets of the inner solar system over four billion years ago. InSight was launched from Vandenberg Air Force Base, California on 5 May 2018.